Welcome to our website specifically designed to help keep you up-to-date and provide you with information related to the Virginia Center for Prosthodontics. Our website virtually opens the door to our office and allows you to become more educated by navigating through information. With the philosophy the patient always comes first, Dr. Karen McAndrew and her team provide patients with meticulous and careful treatment. We specialize in reconstruction and oral health maintenance and provide the expertise and knowledge to fix a variety of restorative and cosmetic dental issues. 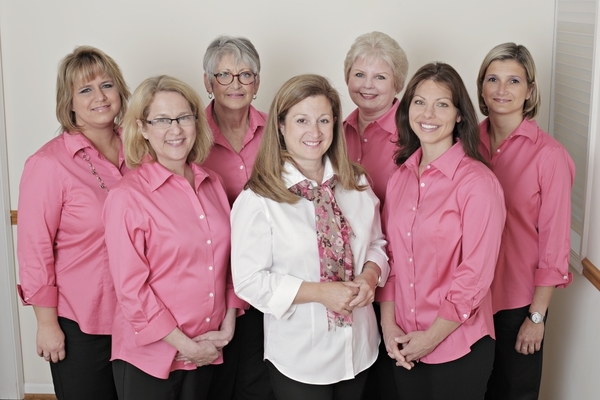 The team at the Virginia Center for Prosthodontics is dedicated to meeting your prosthodontic needs and providing you with the benefits of a healthy beautiful smile. With over 16 years of experience, the Virginia Center for Prosthodontics provides patients with the finest technology and dental materials. Our highly qualified staff has been specially chosen and thoroughly trained to help provide you with a custom treatment plan and excellent customer service. Richmond Dentist, Dr. Karen McAndrew is a professional dedicated to Excellence in Prosthodontics, Dental Implants, Cosmetic Dentistry, Dentures, Veneers and many other dental procedures. Please come and visit Dr. Karen McAndrew.